Space Capone is the brain child behind artist Aaron Winters. Starting to write songs in his teens, he made music that many critics considered blue-eyed soul. Like all great artists, his writing, recording and live performances grew into something more. He ultimately found inspiration from listening to artists like Michael Jackson, Earth Wind & Fire, and Bill LaBounty. He wanted his artist name to be an idea, and not a person. 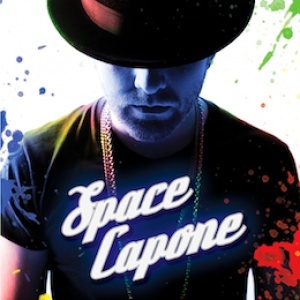 In 2008, with the completion of his first record as Space Capone, the idea was born. From 2008 to present, Space Capone has become an entity of phenomenal musicians that share in Aaron’s passion for classic R&B but also bring their own elements to the table. 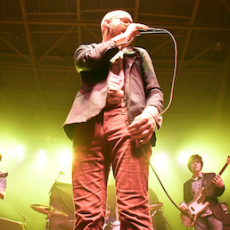 Some milestones for Space Capone have been performing at major festivals like Bonnaroo, ACL, and Hangout Fest, as well as collaborating with Jerry Hey who helped arrange music for artists like Michael Jackson, Earth Wing & Fire, and Toto.